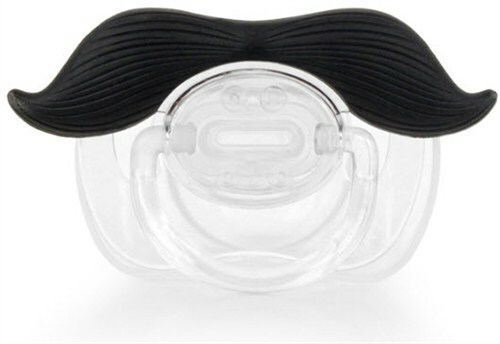 The Gentleman: The Moustache Pacifier for the discerning Gentleman. This Mustachifier commands the respect and admiration of every toddler in the room. When you’re looking to send the message that you’re a big boy who can handle his potty business all by himself then this is the well-groomed handlebar mustache for you.